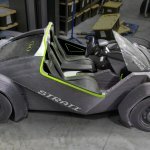 While Local Motors may not be the best-known vehicle manufacturer, they are proving to be one of the most forward-thinking. As a technology company specializing in vehicles, their main strength is the giant community of enthusiasts, hobbyist innovators and professionals around them. Members share their own ideas, designs and concepts and evaluate others’submissions. 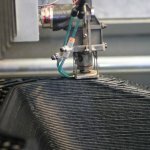 It’s processes like these that led Local Motors to be the first company to manufacture a 3D printed car—due for sale at the end of 2016. And with an updated production model using microfactories and taking advantage of today’s technologies and insights, their eye to the future extends down every step of the process. Executive Vice President (Europe, the Middle East and Africa) and PLATOON member Damien Declercq answered some questions about the unique company for us. The Strati’s chassis and some interior features are all printed as a single block from ABS plastic reinforced with carbon fiber, which sounds like the same material used in high-end suitcases. How strong is this compared to the usual material for cars? What happens if it gets into an accident? We have performed a number of durability tests on the material, and that research continues. 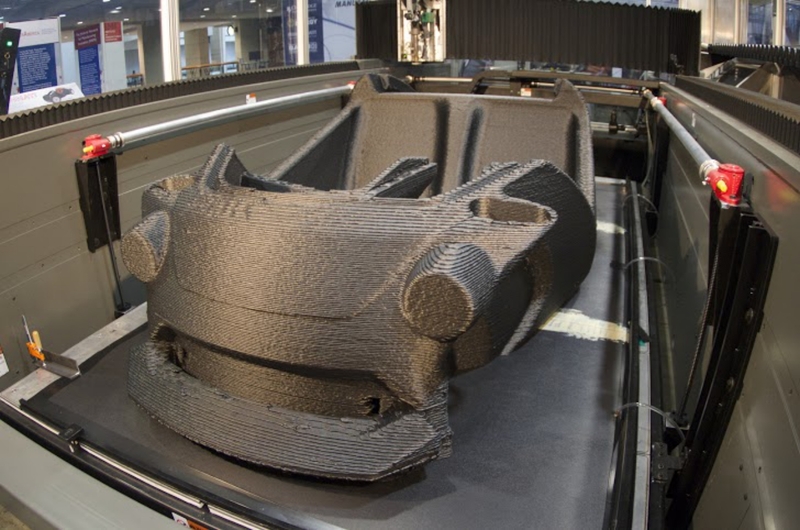 We expect the materials we use in 3D printed cars to evolve over time as research in that area advances. 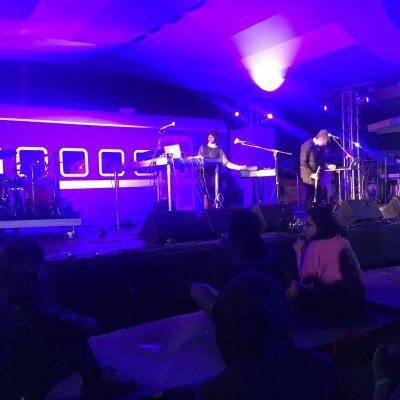 In terms of crash-testing,that's something we're in the middle of right now. However, by the time our next 3D printed car hits the road, it will be certified in the U.S. just like any Ford or Honda. The Strati was a single block that took roughly 2daysto print and and another day formilling - the process shown here. However, by the time the cars are released to public, the entire process will be even shorter. 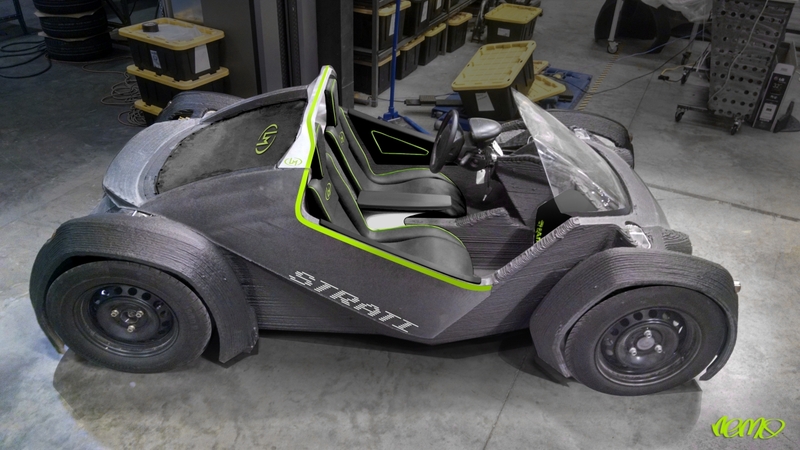 Photo: Courtesy of Local Motors. What are some of the other specs compared to a normal electric car (top speed, etc)? How much do you think these will retail for? We don't yet have an estimated top speed, as we are still developing the battery structure in the car. However, it will be able to travel at highway speeds typical of any other car on the road. 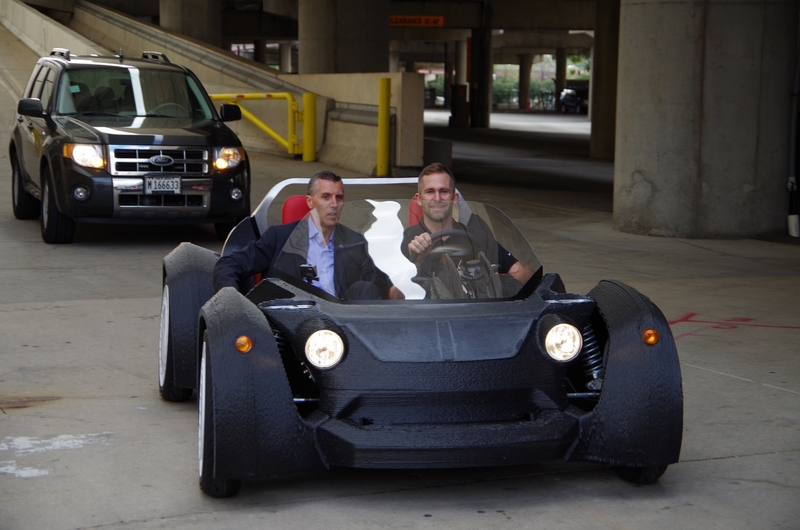 The estimated retail price for the first highway-ready 3D printed car is $50,000 US. That is much more expensive than I would have thought, especially for the size of the car. Do you think that it will become cheaper as the manufacturing process becomes more widespread? At the initial selling stage, what would be the benefit for the consumer, other than as a novelty/collector’s item? While the cost of the highway-ready car is estimated at $50,000, it's likely that a lower-speed version will be sold in the $10,000 to $15,000 range. In reality, the prices are not set as of now. 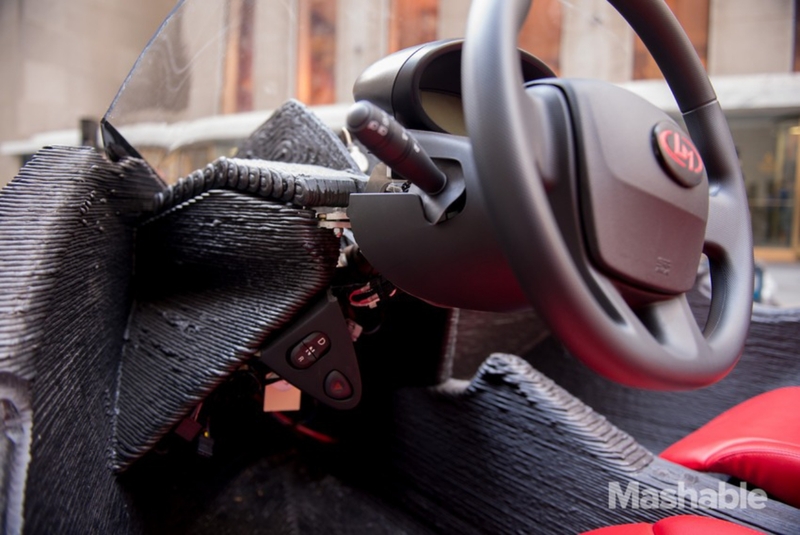 It's something we're still determining as we integrate technology and features into the car. We expect there to be many benefits to consumers. Among them are the savings on fuel that come with fully electric vehicles. In addition, we expect the highway-ready version of this car to be more connected and customizable than anything on the road today. We can't go into any more specifics on that yet, as many of the technologies are still being tested and integrated. 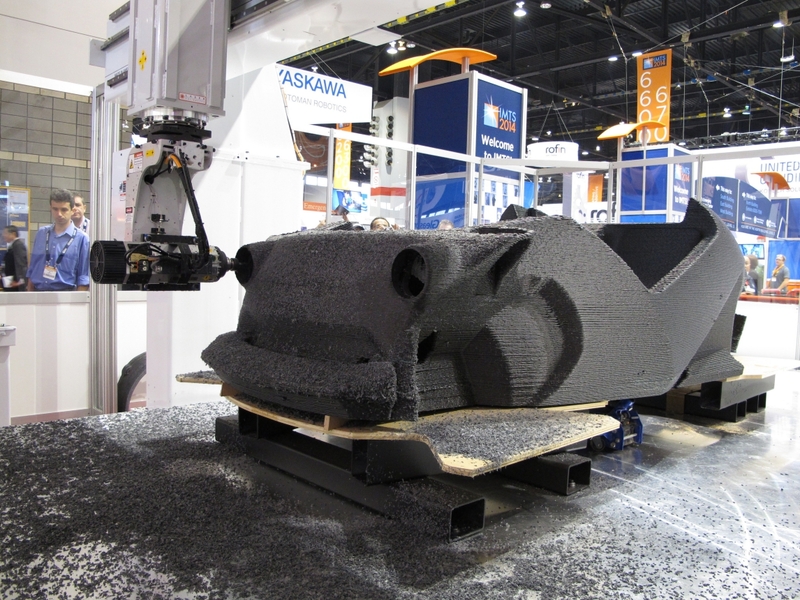 Test-driving the Strati at the International Manufacturing Technology show in Chicago in 2014. 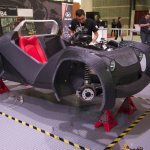 Local Motors recently announced a suggested retail price of $53,000 USD for the first commercially available 3D printed car, and will take orders from mid-2016. 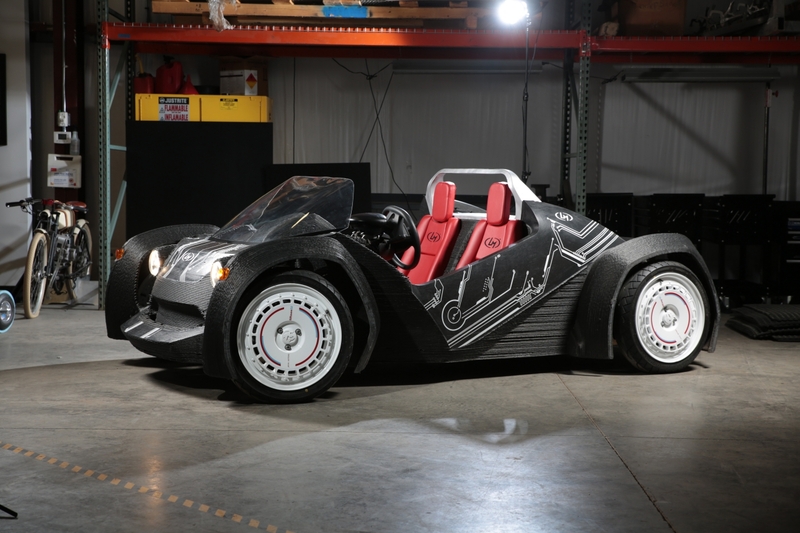 Photo: Courtesy of Local Motors. 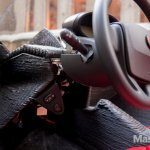 The 3D printed car takes the idea of the future of mobility a completely different way than the other big technology companies, who seem to be betting on self-driving cars. 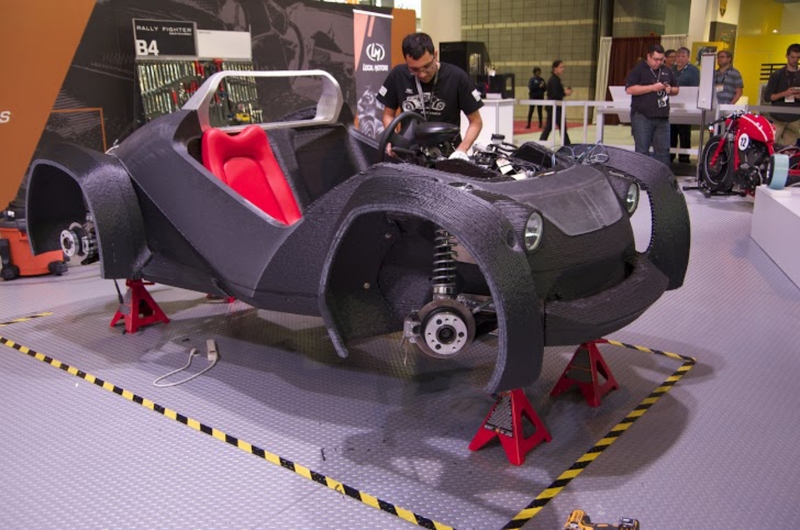 What makes you think 3D printed cars are the next step? We love the idea of 3D printing vehicles because of the level of customization you can create. It's not necessary to build huge factories to stamp and press very specific metal parts when you use 3D printing. That allows us to iterate for more quickly than traditional automakers. On the autonomous front, that's something we are also involved in. We’ve partnered with the University of Nevada-Las Vegas to create are search and development program that will create new technologies for automobiles. UNLV’s new Drones and Autonomous Systems Lab (DASL) will work with Local Motors to create autonomous—or self-driving—systems for cars. This partnership just launched a few months ago. 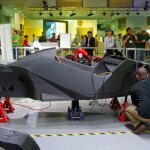 Local Motors is also working with the University of Michigan on autonomous technology. LM is apart of the University of Michigan's M city Test Facility. If interested, you can learn more about it here (http://www.mtc.umich.edu/test-facility). 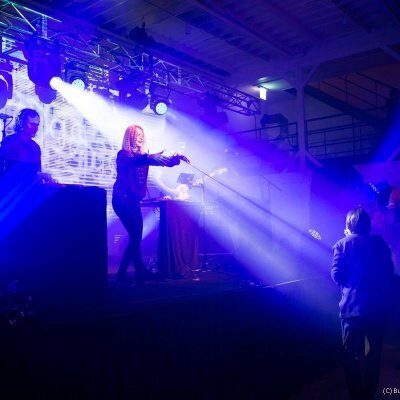 We are also actively pursuing a project here in Berlin and in the process of bringing it to market. After running the Urban Mobility Challenge, we have identified a strong demand for the Berlino concept—a Smart Autonomous Minibus System. It picks you up from where you are and drops you where you want to go. It is convenient and sustainable mobility on demand. We are starting to pre-sell the system that is named the AWESOME System. It is composed of a software package for the fleet management, supervision and vehicles—the first ones being inspired by the Berlino concept—an App to book the vehicles and the associated services to transport operators. It's likely that a lower-speed version will be sold in the $10,000 to $15,000 range. Photo: Courtesy of Local Motors. 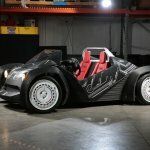 Local Motors is also pioneering the micro-factory, which works in tandem with 3D printing to scale down the size and costs of traditional mass production to place sites closer to urban centers—decreasing freight and distribution costs and getting products to market faster.What other knock-on effects of these new technologies do you think we’ll see? 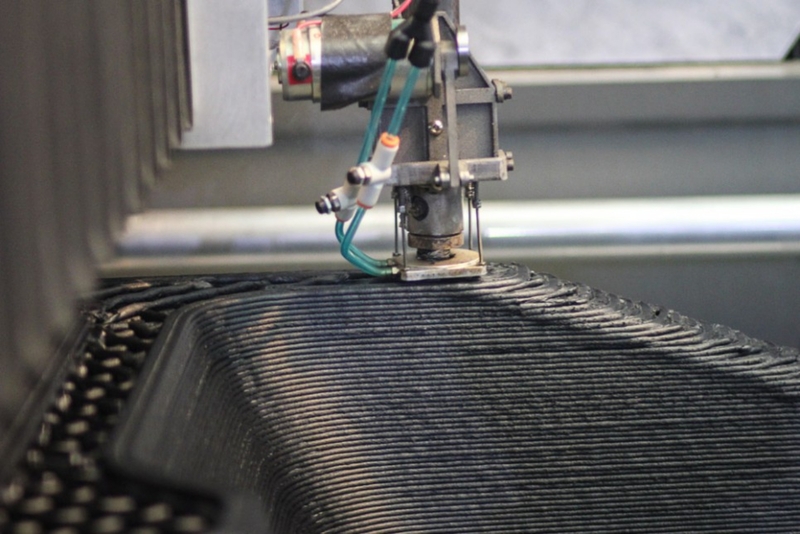 We expect the 3D printing process will allow us to recycle in ways carmakers could have never imagined before. 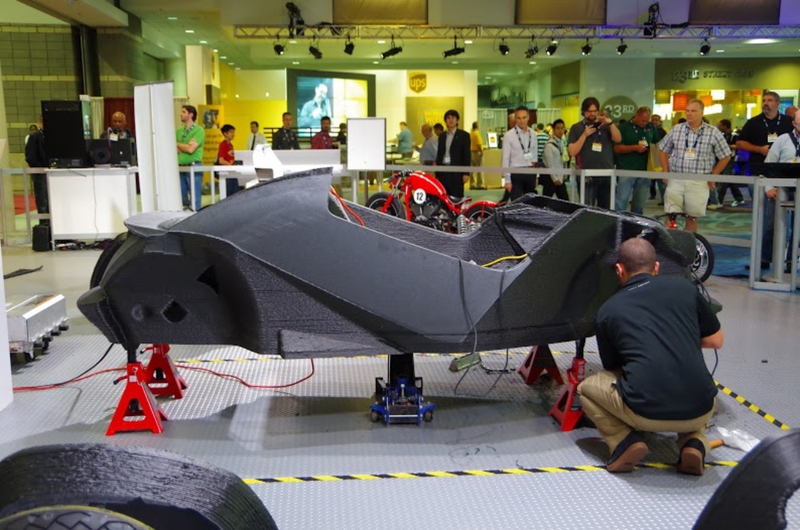 The 3D-printed parts can be broken down and then reused in new cars. We want to get to the point where buyers aren't trading in their cars, but bringing them back to us so we can recycle them and build them a new one. Your organization recently held a competition for ideas from your community for new urban mobility systems in Berlin. What were some of the best ideas learned from that? We see the future of mobility being sustainable, shared and autonomous. Smart autonomous vehicles such as the Berlino minibus is very in line with that. 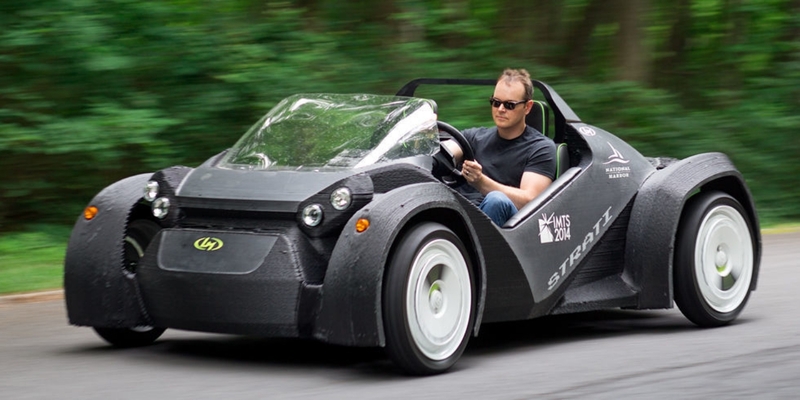 3D printed cars will be available for consumers this year. Photo: Courtesy of Local Motors.